This Bonebit Fitness Tracker Watch boasts a long battery life with an estimated 7-10 hours standby time and four days operating time on a full charge. To charge the watch, just detach the wristband and plug the end into an available 5V/1.0A USB power supply. Using this heart rate monitoring personal device is simple. It does need a smartphone. It is not compatible with a computer or a tablet. This watch works with iOS 7.1 and above and Android 4.4 or above. You will need to download the free “Veryfit for Heart Rate” App from either the Apple Store or Google Play. The sedentary alert is more convenient than the Chrome extension I had used. It still reminds me to get active often, and it goes with me. I expect to use this watch for more activities with increasing fitness levels. Primarily, for now, I am using the step counter. It is motivating me to increase my walking distance every day. It does take about thirty steps or so for the tracking to begin. Little changes can have long-lasting ripples, and I am looking forward to reaping the rewards on down the road. If you are interested in this product, here is the Amazon product page. This is my original Amazon product review. This Love Heart Necklace that I got for Mother’s Day features a simulated [cubic zirconia} version of my birthstone. My birthday is in October, so my stone is pink tourmaline. It is beautiful! It truly catches the light and looks spectacular. I feel pretty special while I have it on. I have received compliments on it already. The 925 sterling silver chain is 18″ long. It weighs just 2.60 grams. It is a dainty necklace. Even though it is elegant looking, it is perfect for any occasion or even dressed down for everyday use. It is versatile. I would not hesitate to buy one as a gift for a loved one for a birthday or another occasion. It says “I love you” complete with gift box. You can see more and buy any of these twelve beautiful pendants here. The Natural Feelings Choker Set option I chose has six necklaces in all. They arrive each in a protective plastic bag. The set includes a black velvet pouch to store them. These fashion accessories are all the rage now. I bought this set as a gift for my younger daughter. She looks lovely on her. There are some gothic and some tattoo lace ones in the collection. She has a weekly event she attends that is the perfect venue to wear the necklaces. She is excited to show them off. The material here is either felted lace or leather, which is excellent. There is no cheap plastic as some other chains use. There is no scratchiness or discomfort. The clasps are either on the left or the right, which takes a little getting used to, but is no real problem. My daughter’s neck is fairly average [about 14″], but she is using a bit of the extender to fit them correctly. I recommend double-checking for neck size if that is any concern. The Natural Feelings Choker Set  offers a 90-day money back or product exchange warranty, so there is no risk. If you would like to see the different collections the Amazon product page is here. 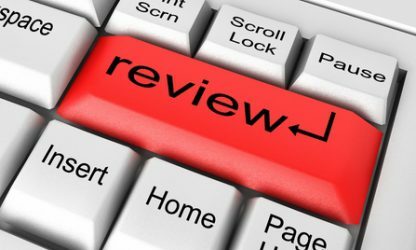 Should you want to see my original review, it is located here.